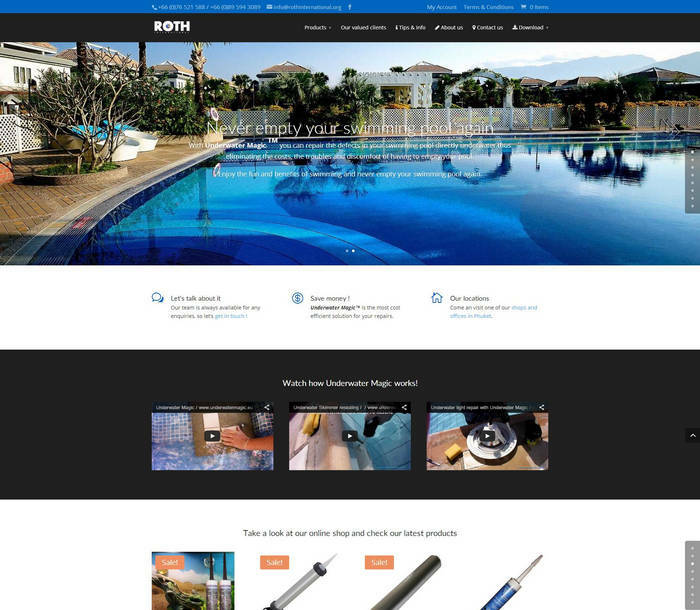 ROTH International PHUKET is the sole distributor of the Underwater Magic in Thailand. We build for them a responsive e commerce website. Shopping cart (with shipping costs, tax collection, featured products, related products…). 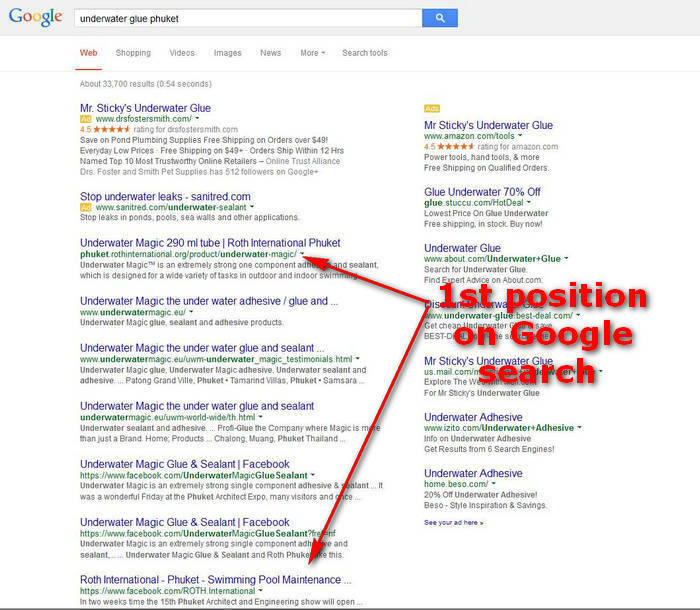 SEO Optimisation, 1st position on Google search achieved!